Interested in starting a hobby that might be addictive, never-ending and revealing of a dark side of your family? 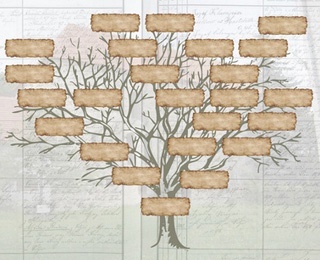 Welcome to genealogy, the second most popular hobby in the United States – gardening is first. The appeal in searching for family roots intensified 40 years ago, with Alex Haley’s “Roots,” which won the Pulitzer Prize and became a blockbuster TV miniseries. Today the hobby is been fueled by technology. No longer do you need to travel to a hometown cemetery, looking for clues of relatives. Just search the 87 million grave records and headstone photographs on www.findagrave.com, or post a request asking that a volunteer take a photo for you. Passenger records from Ellis Island, N.Y., the American gateway for millions of immigrants, are just a click away, too. Genealogy researcher Francis Stuart gets that question a lot at the Oberlin Public Library, where he volunteers his time to help others discover their roots. The retired high school history teacher says to compile whatever information you already have, such as names, birth and death dates, birthplaces, military and marriage records. And here’s a daunting fact: if you can go back to your 10th great-grandparents, you’ll have 1,028 relatives to research. Start filling out a pedigree chart, but use a pencil. www.afrigeneas.com, a site devoted to African American genealogy. You can also visit one of the almost 5,000 worldwide Family History Centers, which are free and open to the public. The centers are run by the Latter Day Saints and make websites available for free that otherwise might cost. Many libraries and historical societies offer workshops and other assistance. A word of caution before you begin your new hobby: your relatives might have had a reason for not talking about the family history. “Be careful what you ask for because you never know what you might find,” Francis said. He found a “scoundrel” in his family tree: His 8th great-grandfather, married and in his 50s, led a massacre against Native Americans, then took off with a teenager. His body was never found, but a hat and cane believed to be his was found by the East River in New York. Kendal at Oberlin residents Nancy and Don Hultquist, have been shaking their family trees for 20 years. Most of their research was done before the Internet, but Nancy now has a computer program, which is invaluable in organizing the vast amount of information they accumulated. 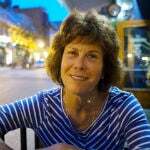 Nancy’s curiosity was piqued when she heard stories of her adventuresome great grandfather. Several Kendal residents and Nancy share ancestry as cousins through both William Brewster and Richard Warren, who arrived in America on the Mayflower in 1620. Over the years, Don has had to work particularly hard to trace his family tree as a result of the patrilineal descent system in Scandinavian countries, in which family descent is reckoned through the bloodlines of males. Typically, names and property follow the male line of descent. A man’s descendants are his own children, and women were little recognized as ancestors. Using church records, he has followed his ancestry back to the early 18th century, and found many ancestral farms and homes. Don has been able to establish that he is related to Swedish author, Astrid Lindgren, who wrote Pippi Longstocking. Lindgren was a third cousin of Don’s father. The Hultquists have searched far and wide in pursuit of their ancestry. Over the years they have spent hours, with the tedious work of scanning microfilm. They’ve haunted libraries, including the Mormon libraries in Salt Lake City, Utah and Ann Arbor, Michigan; historical and genealogical societies; cemeteries; and churches. They were looking for town histories, family histories, census records, city directories and ship lists…anything that would produce a clue. The couple took multiple trips to other cities in the U.S., Sweden and Switzerland to meet relatives and, of course, continue the search. Three of their children and their families met them in Sweden and stayed in Don’s ancestral farmhouse. 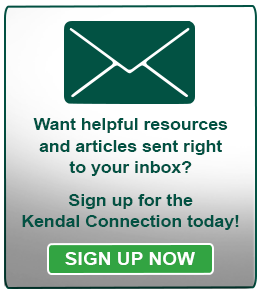 Shortly after moving to Kendal in 2002, Nancy and Don created the Genealogy-History Interest Group. The group’s purpose is to stimulate interest in genealogy, and encourage one another to organize, expand, write and present family histories. Nancy has helped a number of fellow residents begin their search. She and Don have lectured, brought in speakers and encouraged other residents to tell their family stories.